How to make a calculation of the total Cost of Living in Excel? 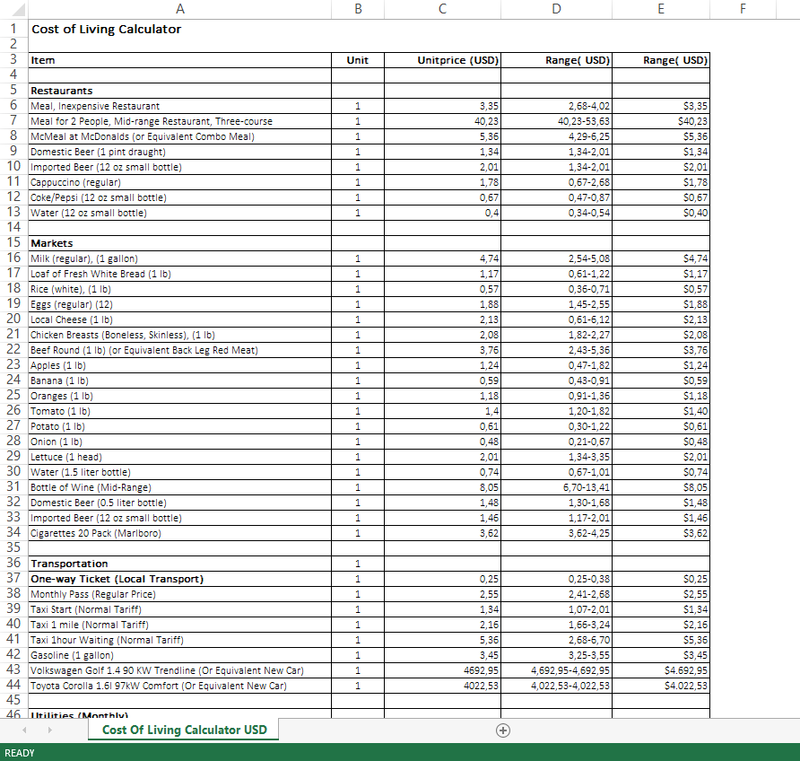 An easy way to create your spreadsheet is by downloading this sample Living Cost Calculator Exel in USD template now! Our Living Cost Excel template is grid-based and designed to organize information and perform calculations for the living expense that occur in daily life. Beginners and professionals from all over the world are now using spreadsheets to create tables, calculations, comparisons, overviews, etc for any personal or business need. We have found ways to increase the quality of the spreadsheets and hope they will turn into more profits for your organization or making everything a little easier! This template is a very popular spreadsheet and you can download the .xls and .xlsx files to increase your productivity. You will see that finishing such an Excel spreadsheet has never been easier! Download this Cost of Living Calculator in United States Dollar Currency Excel spreadsheet now!